A hidden gem? 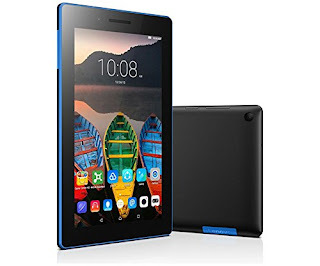 In the UK, the Alba (503248) 8 Inch 16GB HD Tablet is not available for sale on Amazon, so no reviews to read there. It's being sold at Argos, and while I'm not 100% sure, I think they may have the exclusive rights to sell this product. Regardless of that, this tablet appears to be a bit of a hidden gem. Reviews are predominantly very good. There are a few "old school" brands out there that continue to impress me with their level of longevity. Two that really stand out for me are Sanyo and Sharp. Every product I have owned of either brand has always lasted many years, and funny enough, some are still soldiering on today! Alba is another golden oldie brand that delivers some surprisingly good products. There are Alba 7 Inch and 10 Inch models available, but tablets with an eight Inch screen are widely considered to be the best, most convenient size for the majority people (Yes, surveys and mad experiments have been done!). Portable, but still big enough to perform everyday tasks, like typing, Internet browsing and watching movies and clips without it being too small to effectively follow what's actually going on. It's just the right size. The 8" display in this Alba is packing an respectable 1280 x 800 resolution IPS screen. This not only means it has a pretty good level of sharpness and vibrant colours, but also that the screen doesn't look washed out on the corners and sides when viewing from angles other than straight ahead. Not the best display out there, but definitely not the worst. Is it HD like stated? Hmm, it's close but no cigar. However, I shouldn't complain, it's great for the price. Is it perfect? Absolutely not. Show me one that is. But for this type of money, it's a top contender and should be considered by those who are running a tight ship and want something that actually works well. Despite a few bad reviews / issues (Read more about them below), they are largely overthrown by a mountain of positive ones. The good reviews generally say it has a really nice clear screen, and that it's fast to load Apps and programs. It does all the basics well and can handle a moderate / medium level of multi-tasking and still retain its speed. Takes a while to charge, and going on the longest battery durations of some of the other brands (Like the Neocore E1 lasting between 6 - 9 hours) costing around the same, this one lasts about half the time. Still not too bad though. And it should be noted, some buyers have claimed that despite the stated 3 and a half hour battery life, from a full charge their battery lasted two-to-three times as long. Some screen issues have been reported. Mainly due to the screen being a bit flimsy. If you drop the device it may not fare very well. Cracked / damaged screens seem to be the most common complaint with this model. The good news is that it does come with a protective case, but that doesn't appear to offer much, or any protection to the screen itself. However, the case does a decent job of guarding the rest of the device. To summarise: Great tablet that comes complete with a long warranty / guarantee. 2 years to be exact. Excellent for both adults and kids, and perfect for a whole host of digital activities, whether using it online or offline. Comes with parental control software pre-installed. Please Note: The Alba (503248) Tablet does have a 16GB hard drive, but will have around 5GB of that used up for the Operating System and additional software (minimal bloatware). Some people have been quite surprised and annoyed when discovering this, so it's worth mentioning. Out the box you will have approximately 10GB - 11GB of free space available to play with. Need more space? Just buy an SD card. Very cheap. Job done. Great review. Everything a layman like me needed to know, written in a way I could understand. Thanks. 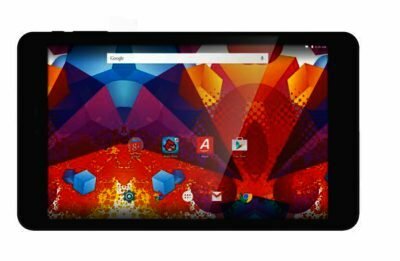 Neocore E1 Quad Core Best Cheap Tablet? Are Fusion5 Tablets Any Good?